Ramblings of a Happy Homemaker: Giveaway!! I'm excited to have my first giveaway for you today! Whoo Hoo! 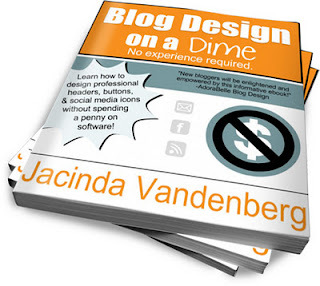 I don't know if everyone is as computer illiterate technologically challenged as I am or not, but this brand-spanking new e-book, "Blog Design on a Dime", will be a huge benefit to those of us who need a hand with blog design. It's written by Jacinda Vandenberg, the author of the blog, Growing Home. Unless you're a professional blogger who sees hiring someone to design and maintain your blog for you a necessity for business, then, you're probably like me and are left to flip and flail around, experimenting with blog templates to create something that says "ME". Unfortunately, this can still leave a blogger disappointed in the results. And, heaven forbid you need to create a button for something. That's when I just throw in the towel. I think that blog design is a lot like home decorating - most of us can't afford to hire someone to do the decorating, but that doesn't mean that we still don't want our place (home or blog) to be welcoming and lovely. Sometimes all it takes is having someone to hold our hand through the process. That's just what Jacinda does in "Blog Design on a Dime". In Blog Design On A Dime, I will walk you through every step it takes to create a blog header, button, and social media icons without the use of expensive photo editing software. You'll how to create drop shadows, circle buttons, and position elements for maximum impact. You’ll know all about color codes, how to make your own grab box, and link your Facebook page to an icon you make for it. You’ll learn how to create a properly sized header and how to center the elements on your sidebar. Plus! Enjoy a bonus chapter on how to use these techniques to create a Facebook Welcome Page and profile, eBook covers, and gift certificates! Best of all, no experience is required! Jacinda does a fantastic job at breaking each lesson down into a totally attainable goal. So, if you've struggled in this area like I have, this e-book would be a great benefit to you. Jacinda has graciously offered to give one of my readers a copy of her new e-book, "Blog Design on a Dime". That's a $4.99 value. Even if you're not chosen, this is still a great value. I can honestly say that I've only ever bought 2 e-books, even though there are many out there that I think would be an asset. But, I live on a budget and have to decide where to get the most bang for our hard-earned buck. This is one of only two e-books that I've ever let go of the cash to buy. To enter the giveaway: Leave a comment telling me why you would like to win "Blog Design on a Dime". 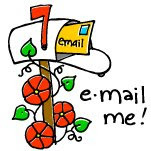 Please leave an e-mail where you can be reached if you don't have a blog. For a second entry, 'Like' Growing Home on Facebook. Then, leave another comment saying that you did so. I'll announce the winner on Thursday, January 19, 2012. Give Away is now closed. Why I could use this... well, let's just say that the other day I was actually researching how to convert my Wordpress.org blog BACKWARDS into a Blogger blog haha. It's all just so confusing to me! 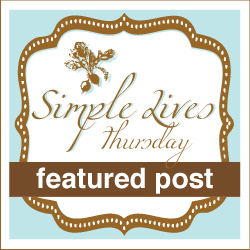 I have been playing with my blog for a while now & to scared to post it....this would be a great help! After I lost my copy of Illustrator and Photoshop, I've never successfully managed to even make a nice banner for my blog. Obviously she's using cheaper programs, so it would be great to know how to do that.